Tempe Lake downtown. Great restaurants, walking, bike riding area, right next to light rail. You can rent small boats and go out on the lake. Very relaxing, and theres a fully stocked Mall just a mile away. Finally got to visit this city of Phoenix, when all the other times we both would only be in the city because of the airport. Our friend took us to Phoenix to grab brunch before our trip back and pretty much drove us around Downtown Phoenix. It pretty much reminds me of Downtown Los Angeles. A few ghetto places and a few nice places. I thought there wouldn't be homeless people, but I guess I was wrong. There's always going to be at least 1% of them here and there. There's a few one way streets, so be careful when you're driving. ALSO be careful with drivers, some may look like tourist and will not look at traffic while busy looking at something else. Looked pretty cool. Try coming here at night time, the lit up loop will most likely amaze you like it would with me even when it wasn't even lit in colors :D I just can't wait to check it out the next time I visit! This city is huge and a great place to visit and live. 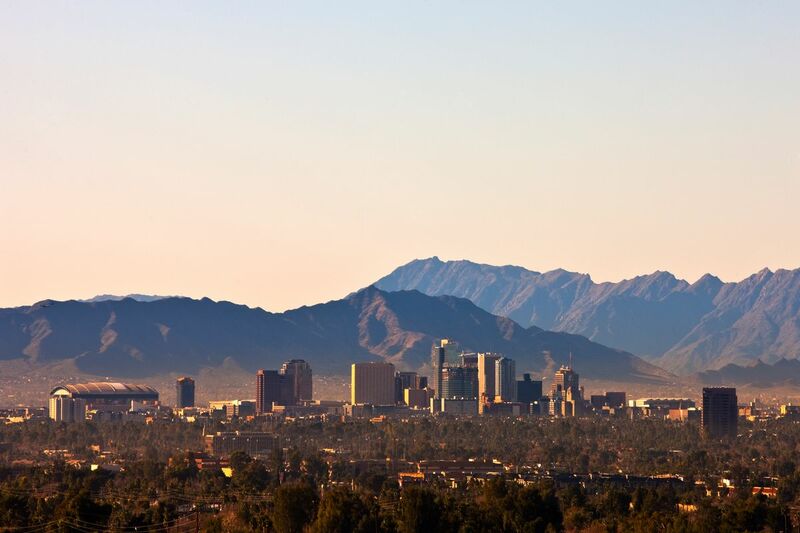 The Phoenix valley encompasses a lot of suburbs and the valley as a whole has a ton of stuff to do, see and explore. There's more restaurants and bars here than I know what to do with. This area is also perfect for golfers. If you're visiting for a vacation its best to avoid the summer. The weather is literally perfect in the fall and spring. The winter is fantastic too but it can get colder here than most people realize. So don't visit in the winter expecting to go swimming or walk around in shorts. I like Phoenix. It's not my favorite city, but it has its redeeming qualities. It's a slow city. A city that loves its malls and movie theaters (b/c it's way too hot to hang out outdoors!). I give it lots of stars for its beautiful sunsets. I honestly do think Arizona has some of the BEST sunsets in the world.